Eheningen, Ditzingen, Stolberg, Allendorf. What sounds like a random assortment of letters are in fact picturesque locations in Germany. These four cities have a few things in common aside from their Instagram worthy appearance: they are similarly big (or small) in population, and they are home to so called hidden champions, world leaders in specific areas: Bertrandt, Trumpf, Prym, Viessmann. In total, these companies employ close to 40,000 people and total an annual turnover of roughly EUR 7 billion. They are prime examples of Germany’s strong backbone of Mittelstand (in principle: the medium-sized companies in a country, viewed as an economic unit) and family businesses. And this assembly of powerhouses has a unique structural advantage compared to other global economies: its composition and network resemble that of ecosystems. In an age where digital technologies infiltrate our physical world, the Mittelstand needs to revamp its ecosystem approach to harness the full potential of the rise of hybrid ecosystems (digital meets physical). The complex of a community of organisms and its environment functioning as an ecological unit. An economic community supported by a foundation of interacting organizations and individuals — the organisms of the business world. The economic community produces goods and services of value to customers, who are themselves members of the ecosystem. The member organisms also include suppliers, lead producers, competitors, and other stakeholders. Over time, they coevolve their capabilities and roles, and tend to align themselves with the directions set by one or more central companies. With almost no boundaries between larger companies, startups, universities, research institutions, or investors, the Silicon Valley is a prime example of what can make ecosystems so powerful. So what are the distinguishing features that make the Mittelstand a powerful ecosystem itself? In her recent blog post, Ange Royall-Kahin outlined the unique opportunity Europe and especially Germany has as the digital and physical worlds further merge to drive what has been widely referred to as Industry 4.0. Germany alone counts over 200,000 manufactures that total over EUR 2 trillion in revenue annually. Additionally, there is barely any industrial sector in Germany that is composed of less than 95% of small and medium sized enterprises (SMEs)— the cornerstone of the economy and the members of the Mittelstand. And these SMEs account for 99.6% of all companies in Germany and for roughly 35% of all of the revenues generated. The breadth and sheer amount of players across so many sectors increasingly become an asset as technology drives the convergence of these sectors. The Mittelstand is many times a tightly knit community. Many companies have been around for generations and are still in the hands of the founding families, meaning that the relationships with suppliers, other family business owners, or competitors have been passed on over time as well. Similarly, there are many dedicated initiatives on regional and national levels, such as the WVIB or the VDMA, who specifically foster the exchange between there member companies — Mittelstand firms. Often times Mittelstand companies will be based in socio-economically disadvantaged regions. There are cases in which a single firm is the only larger employer within miles. That “isolation,” however, enables strong bonds with many actors at a very local level. These companies will sponsor schools, universities, or have programs in place with local authorities regarding vocational training — further enriching the expertise of (future) employees. In many aspects, this effectively represents a micro-ecosystem already. According to the IfM in Bonn, medium-sized companies account for over EUR 10 billion of investment in R&D, which equals 13% of total R&D expenditures by companies in Germany. And though recent data is hard to come by, the number of family offices (190) that manage a total wealth of around EUR 140 billion in 2014 is a good indication as to how family businesses and the Mittelstand can financially fuel their ecosystem. The VC firm La Famiglia is a great example of this. Why is the Mittelstand in a premier position to succeed? The Mittelstand is poised to use its existing ecosystem as a launchpad for accelerated growth and I believe it is due to the rise of what TheBostonConsultingGroup in a recent article described as hybrid ecosystems. In short (and I recommend reading the entire article from the team at the BCG Henderson Institute), hybrid ecosystems arise as digital technology makes its way into the physical world. You can think of smart factories or of Amazon’s takeover of Whole Foods Market. The point is that the digital economy today still only accounts for 8% of the global economic activity. Growth in hybrid ecosystems requires both technological and relationship expertise, and the Mittelstand thrives on this tight network as explained above that includes multiple actors from a variety of fields. This network and the relationships forming it has evolved over decades and many companies will operate on a very personal level. Whereas digital ecosystems rely mainly on breadth, these new hybrid ecosystems need a much larger degree of domain expertise, which is what these specialized industrial players provide like no one else. They have achieved global market leader status by occupying a technological niche, laying claim to expertise that is extremely difficult for a new entrant to acquire. The fact that many employees remain with their Mittelstand employers for years ensures that the expertise stays in-house. Again, whereas digital technology mostly thrives in newly created niches, these hybrid ecosystems need to be successful in rejuvenating the old, existing infrastructure for example. As the Mittelstand stems by and large from traditional, industrial sectors they are experts in the “old”. How can you reinforce the Mittelstand’s ecosystem to benefit from the rise of hybrid ecosystems? Screen existing connections among the Mittelstand to see mutual interests and opportunities to collaborate. The point here is to really drill a level deeper and work together on a new initiative for example. Mittelstand firms have a history of cooperating in areas such as R&D, but the next level is cooperation to around new business models and revenue generators as many firms have complimenting skill sets or assets. For example, a stronger integration with a supplier to create a joint service offering and go-to-market approach could in cases be powerful. Data, in general, is another great example that siloed in one company will only allow you to extract a certain value — but when combined with other data sets (from other companies), the value potential rises exponentially. The startup Statice is a good example as to how this data sharing can be enabled in a secure manner, while the joint venture (even if it’s not pure Mittelstand) between Viessmann and BMW is a good indicator for leveraging the like-minded. Biological evolution has taught us that the most diverse ecosystems tend to be more resistant and resilient to disruptive events. Hence, shaping a digital future predominantly around what your Mittelstand firm can learn from startups falls way short of what actually needs to be done. The ecosystem needs all players included in order to be as diverse as possible. 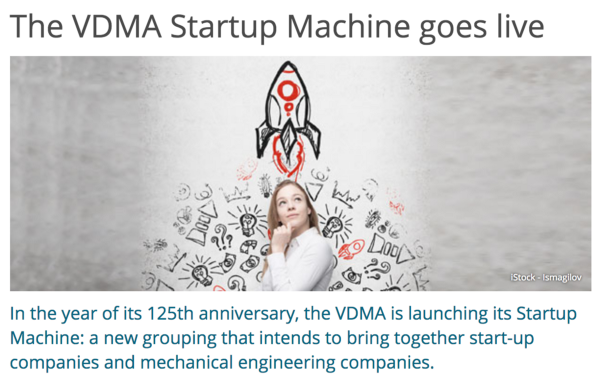 There are great initiatives popping up that can help your Mittelstand company expand its ecosystem holistically, such as Maschinenraum in Berlin or the Founders Foundation in Bielefeld (Ostwestfalen), an epicentre of the German Mittelstand with companies such as Miele, Oetker, Class all located in the vicinity. Additionally, Cornelsen and Viessmann are among those who directly connected with universities in Berlin and sponsored research in digital technologies. The recipe for success: cooperate and compete with the same players at different times. The Mittelstand prides itself on its hidden champions and world leading manufacturers that the public often times has heard little about. Digitalization will not wipe out all of these secret superstars, but it will continuously increase the need to work together with others — and those will at times be partners, and in many other times competitors. The professors Brandenburger (Harvard) and Nalebuff (Yale) view co-opetition as the business version of judo or chess. 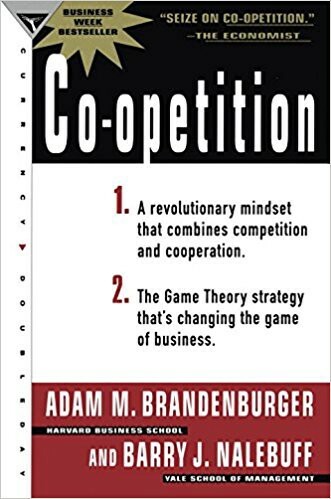 It’s essentially based on game theory and companies should carefully assess what their own strengths and weaknesses are and do so vice versa for their competitors and partners. It sounds difficult and it certainly is once you factor in the aspect that different people have different perceptions of what is going on around them. But the idea of adopting a mindset that is flexible enough to accept fluid boundaries between cooperation and competition with the same company is worthwhile to explore and can be a guide to new powerful relationships. To make the most of these opportunities, incumbents should recognize that they are no longer playing catch-up but are pioneering a new game — one in which they have the potential to define new niches and new rules. Think about what you can contribute to this arising ecosystem. Reach out to your existing network, look for initiatives to get involved with a variety of actors, and be open to where those conversations may lead you. Feel free to reach out to me directly (bastian@wattx.io) or the entire team at WATTx— we’re happy to support you on your journey.